We offer Maize Starch (13-14 % moisture, 25 kg & 50 kg bag packing) as per your requirement & packing. We also offer consumer Packing & Bakeryalso. Annual Turnover Rs. 2-5 Crore Approx. We "Amrut International" established in the year 2001 are a leading supplier, manufacturer and exporter of Food, Beverages, Bakery Products and Concentrates. 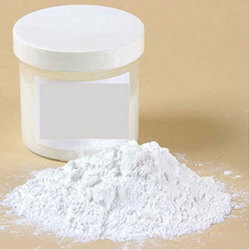 Our product range include Liquid Glucose, Food Colour, Instant Drink Powder. We are known with the brand name of Mr. Kool. The entire range of products is hygienically processed by our highly experienced team of professionals using quality-approved ingredients and latest technologies. Our every products are developed under the supervision of our stringent quality experts as per the international quality norms and standards. We have an ultra-modern infrastructure unit to carry out all our business related process in an efficient way. These facilities is well equipped with different advanced machines and tools that are necessary for the production process. In order to look after the systematic working of all the business activities at our infrastructure, we have also appointed a team of experienced professionals. All these products we are offering to the clients are ensured of premium quality as they are stringently checked by our quality controllers with the use of varied advanced testing facilities. We export our products in to Algeria, Gabon, Ghana, Kenya, Lebanon, Oman, Namibia, Saudi Arabia, Ukraine, Egypt, Tanzania, Yemen, Angola, Madagascar, Morocco, Canada, Ethiopia, Qatar, U.A.E., Egypt, Senegal, Malawi, Tunisia, U.S.A. & South Africa.